My friend recently lost her beloved furfriend and she is devastated. I know nothing can help, but I thought I'd send her a card to let her know I was thinking about her. This is beautifully simple to make. Die cut the PawPrint Spray design from white cardstock. Stamp the sentiment Sometimes Said Pooh with VersaMagic Midnight Black using a stamp platform. Use multiple light touches to maintain the contrast between thick and thin lines in the lettering. Trim the cardstock, mat with brown cardstock. Mount on a 5x7" tent-fold card base. Write your thoughts inside and give away. 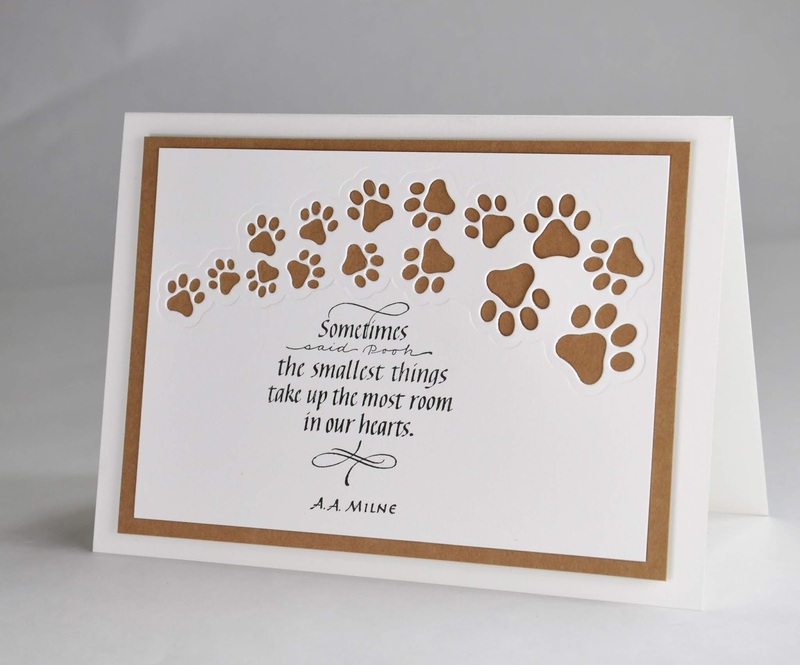 I hope this gives you an idea for making your own pet condolence card.